Golf Links View is located on the northern outskirts of Waterville on the N70 and adjacent to the 'Ring of Kerry Cycle Route'. The house offers views across Ballinskelligs Bay to Bolus Head. This is a four star bed and breakfast which is approved by Fáilte Ireland. There are six bedrooms consisting of doubles, twins and family bedrooms. All rooms are ensuite with shower, with a bath in one family room. Each room has a television and tea/coffee making facilities. Residents are welcome to use the guest lounge with a selection of DVD's to play and a full range of satellite stations to choose from. There is an open turf-fire to warm beside on colder evenings. Guests have access to Internet and are free to print off any holiday information they require (within reason). 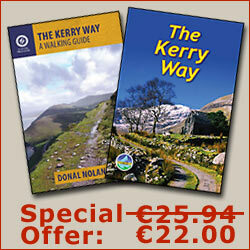 A courtesy pick-up can be arranged for walkers on the Kerry Way and a lift to/from Waterville. Clothes can be washed and dried through the in-house laundry service. It is possible to order a packed lunch for the next day and to arrange for luggage to be delivered to the next accommodation on the trail. 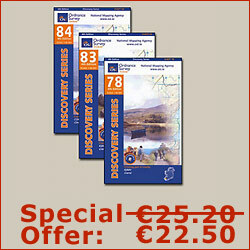 Visitors who want to stay for a second day can have a trip to the UNESCO Heritage Site at the Skellig Islands. Alternatively, there is another important monastic site on Church Island in the centre of Lough Currane. Sea-trout and salmon fishing are also popular on this lake. Another relaxing option is for a casual stroll along the beach and promenade at Waterville.